The Signature Series will continue with The Mystery of Irma Vep – A Penny Dreadful, a hilarious Gothic spoof in which two actors play a multitude of roles. Back by popular demand, Jim Helsinger’s heartwarming adaptation of A Christmas Carol will arrive in time for the holiday season. Next up, the suspenseful, Tony Award nominated new play, A Doll’s House, Part 2, serves as a sequel to Ibsen’s classic drama. 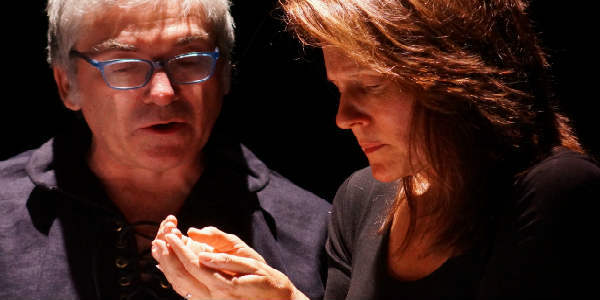 William Shakespeare’s revered tragedy Hamlet will play in repertory with the world premiere of Gertrude and Claudius, a prequel to Hamlet commissioned by Orlando Shakes, based on the novel by John Updike. Finally, the 30th Season will close with Shakespeare’s Richard II, a historic masterpiece in which a king discovers his humanity. The 2018-2019 Children’s Series includes three family-friendly productions: dive under the sea with a new adaptation of The Little Mermaid by Brandon Roberts; go wild for April-Dawn Gladu’s fresh take on The Jungle Book; and explore a land above the clouds in Jack and the Beanstalk. Current Orlando Shakes subscribers may renew their subscription now by calling (407) 447-1700 ext. 1 or in person at the Box Office (812 East Rollins Street). New subscriptions will go on sale starting April 26, 2018. Individual tickets to The Little Mermaid will be available for purchase starting May 3, 2018. Group tickets (of 10 or more) are on sale now by calling the Box Office. Tickets to all remaining productions go on sale June 12, 2018. 2018-2019 titles and dates are subject to change; additional information about the season, including creative team and casting, will be announced at a later date. 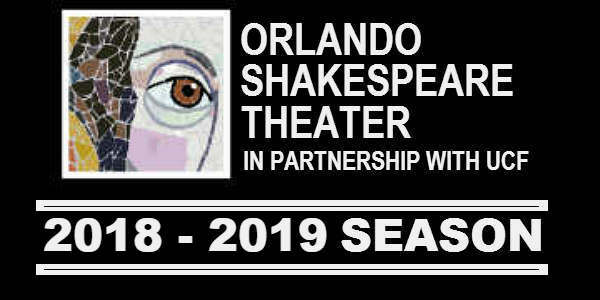 Visit orlandoshakes.org for more information. This project is sponsored in part by the Department of State, Division of Cultural Affairs, the Florida Council on Arts and Culture, and the State of Florida. In the Heights tells the universal story of a vibrant community in New York’s Washington Heights neighborhood – a place where the coffee from the corner bodega is light and sweet, the windows are always open and the breeze carries the rhythm of three generations of music. It’s a community on the brink of change, full of hopes, dreams, and pressures, where the biggest struggles can be deciding which traditions you take with you, and which ones you leave behind. In the Heights is the winner of the 2008 Tony Awards for Best Musical, Best Score, Best Choreography, and Best Orchestrations. Back by popular demand, celebrate the holidays with Dickens’ classic ghost tale! The miserly and miserable Ebenezer Scrooge greets each Christmas with a “bah humbug,” until he is visited by the Ghosts of Christmas Past, Present, and Yet to Come. Nine actors tell the heartwarming story of one sleepless night, in which the spirits reveal cruel realities and a chance to change for the better. There is nothing either good or bad, but thinking makes it so. While mourning his father’s sudden death, Prince Hamlet returns home to discover his mother hastily remarried and his despised uncle assuming the throne. When an apparition of the late king accuses the uncle of murder, Hamlet, pushed to the brink of madness, is driven to avenge a crime that could be the product of his own imagining. Torn between thought and action, the manic prince is left questioning what is real and what he alone has dreamed up. The cornerstone of Shakespeare’s genius, Hamlet walks the line between spiralling insanity and the truth. Serving as a prequel to Hamlet, Gertrude and Claudius brings a new point of view to the classic tale of guilt and revenge. The infamous couple serve as the villains in Shakespeare’s work, but are offered a new exposition in this tale of good intentions and family dysfunction. With ominous hints at the familiar story to come, Gertrude and Claudius is a play that shakes up what you thought you knew about Elsinore. Funding for the commission of Gertrude and Claudius generously provided by Rita and John Lowndes. I wasted time, and now doth time waste me. Convinced of his divine right to rule, King Richard II never expected to be undone by his own maladroit mortal wrongs. By brashly putting his own vanity before the needs of his kingdom, he creates the perfect opening for Henry Bolingbroke to seize the throne. Shakespeare’s deeply moving and insightful retelling reveals how one man’s bumbling mistakes can shape a nation’s political landscape and change the course of history. Curiosity killed the catfish… A precocious young mermaid dreams of visiting the Landside. Against the advice of her friends, she makes a deal with an evil sea witch for the chance to earn the love of a human prince. Danger is imminent, but how can she ignore what’s in her heart? Will you dare to reach new heights? When a boy is down on his luck, a magic bean is all it takes to spark a great adventure! Amongst giants, mystery, and magic, join Jack on a thrilling escapade to a land above the clouds!